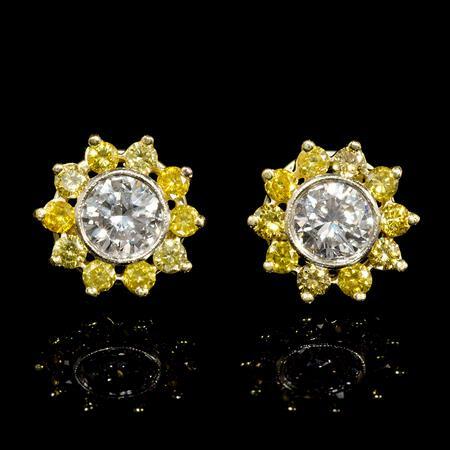 This luxurious pair of 18k white and yellow gold earrings, designed in Italy, feature 20 fancy yellow diamonds and 2 round brilliant cut white diamonds of F color, VS2 clarity and excellent cut and brilliance, weighing 2.16 carats total. 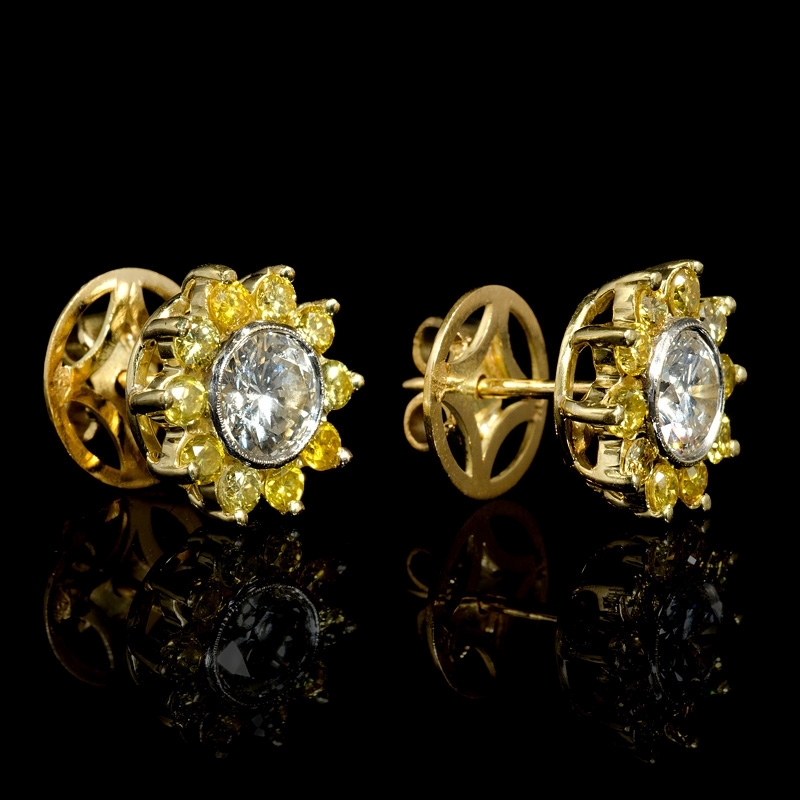 These earrings contain posts & push backs for pierced ears. 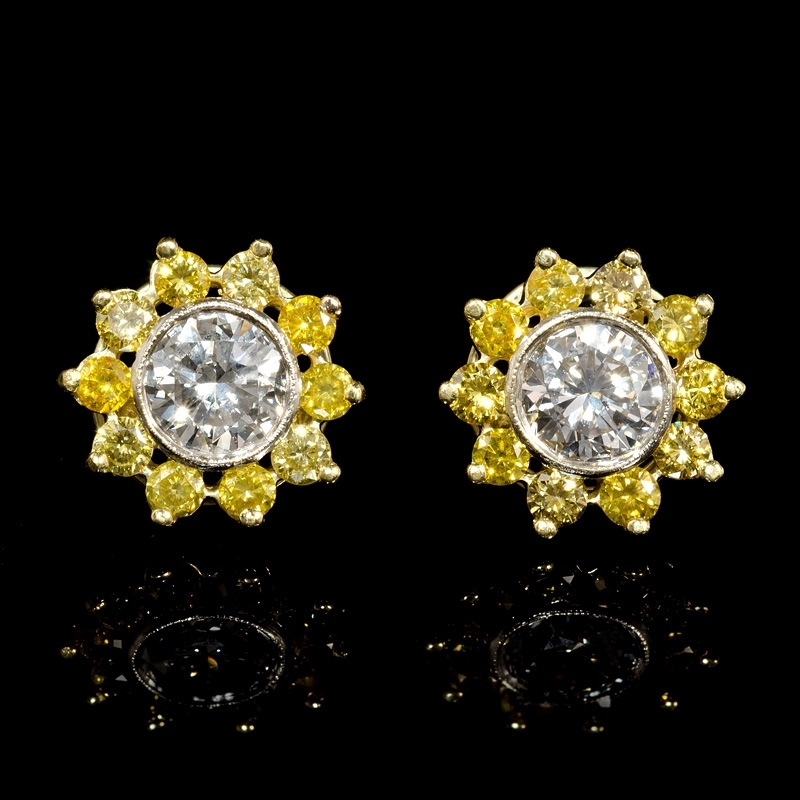 The earrings measure approximately 11mm in diameter.